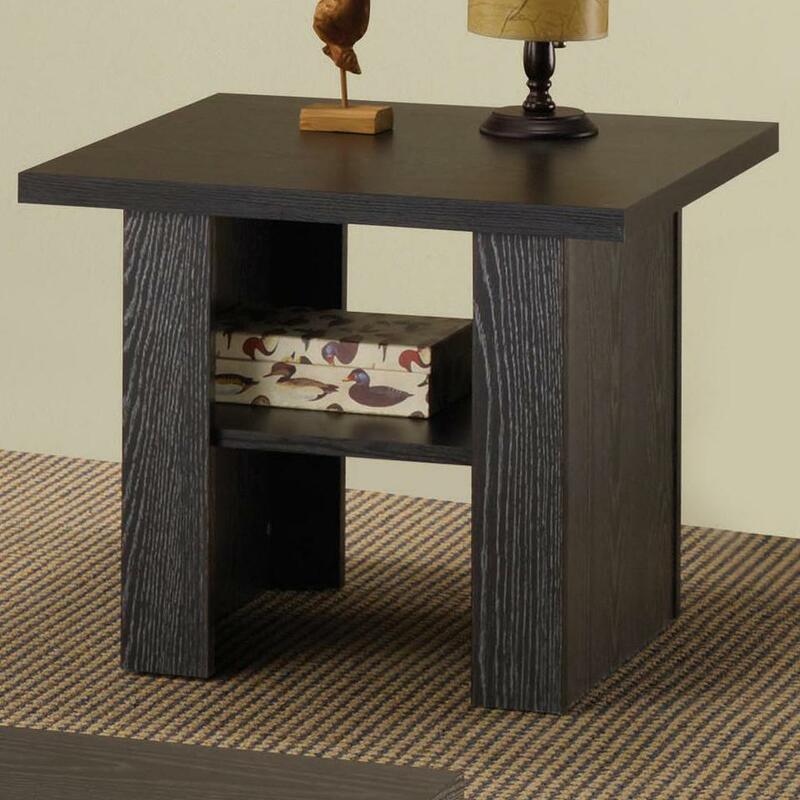 This coffee table and twin end table group combines clean design with practical use for one exceptional occasional collection. Visible wood grain adds texture and depth to the otherwise minimalist lines of the table tops and bases. Shelves suspended beneath the base of each table are ideal for stacking books, stowing games and boxes or displaying frames and other decorative accents. A matte black finish refines the stark lines of the table for beautiful pieces that fit with every style of decor. 1 year limited warranty.